But nowhere do we hear that United Airlines is CUSTOMER-CENTRIC. In the past weeks we have seen a doctor be removed, bleeding, from a plane. A Canadian man was stung in the air by a scorpion. A newly wed couple is bounced from a flight to their own wedding. Where is the customer? Being left at the terminal without assistance. At New Hope Fertility Center, we are more patient-centric. In fact, we are concerned every step of the way as to how we are doing, for you. Our commitment to customized fertility treatments allows us to give you some of the best IVF programs in New York. Neway Fertility, NYU Langone, Cornell-Weill, RMA NY, and Genesis all have great programs, but New Hope is set apart. With a dual focus on cutting edge research and on high-success IVF programs, we are leading the charge to offer our patients the best, newest, and most-likely-to-succeed IVF treatment in New York City. We offer a spa-like setting to encourage you to be stress-free. Our fertility staff is multi-lingual to help cater to our international clientele. Our discretion is appreciated by celebs and private patients alike, and our fearless approach to difficult cases leaves us getting more referrals from other fertility doctors than any other center. But in the end, all this revolves around one key ingredient, and that is our patients. We have listened over the past decade to all your input, and we fold the best ideas into our operation, which evolves regularly. Large institutions cannot be so flexible because they are attached to either a franchise or a university which dictates protocol. Small centers might not be able to afford to be so inventive. 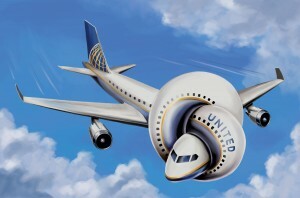 United Airlines provides a paradigm that we successfully avoid. But we always crave more comments, so leave a message on this blog, suggestions, if you will, and help us constantly improve ourselves.